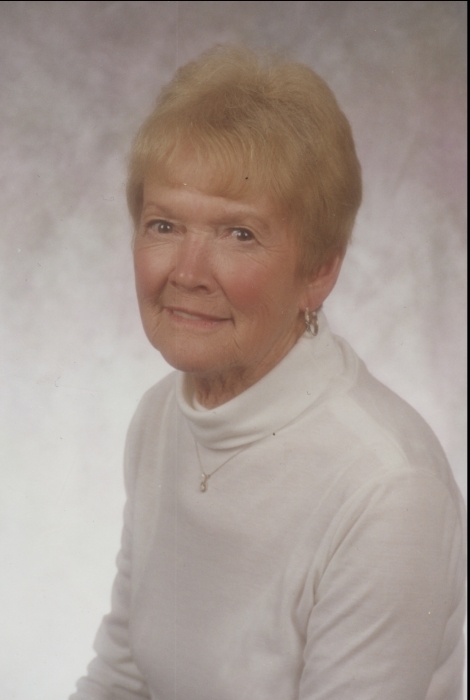 Joyce Kaullen, age 92 of Linn, passed away Monday, April 15, 2019, at Capital Region Medical Center in Jefferson City. Joyce was born June 29, 1926, in St. Louis, a daughter to the late Ted and Eleanor (Brashear) Pyle. Joyce graduated from Ritenour High School in St. Louis. On July 17, 1944, she was united in marriage to Perry “Bud” Kaullen in Corning, AR. He preceded her in death on February 13, 1996. Joyce and her husband Bud owned and operated Linn Manor Nursing Home from October 1954 to May 1969. They also owned and operated Kaullen’s Drive-In from 1972 until their retirement in 1991. Joyce was a member of Eastern Star. She enjoyed walking, gardening, cutting grass, reading, cooking, listening to Frank Sinatra music, going to MU sporting events, and spending time with her family and friends. Joyce is survived by: one son, Bill Kaullen of Linn; two grandchildren, B.J. Kaullen and his wife Sherry of Linn and Kerry Cassidy and her husband Jimmy of Boston, MA; two great grandchildren, Lauren and Lydia Kaullen; four sisters, Barbara Hobbs, Jean Cook, Susan Hoeft and Teddy Kremer; and many nieces and nephews. In addition to her parents and spouse of 51 years, she was preceded in death by her daughter-in-law, Judy Kaullen and a sister, Beverly Baker. Visitation will be held from 11:00 a.m. to 1:00 p.m. on Friday, April 19, 2019, at Morton Chapel in Linn. Funeral Services will follow at 1:00 p.m. Interment will be held at Fairview Cemetery. Expressions of sympathy may be made to Osage County Library.